Welcome to Blue Ridge Boer Goat Breeders. Thank you for stopping by to visit our page. 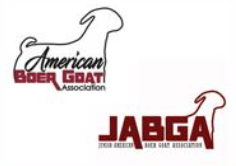 Blue Ridge Boer Goat Breeders consists of a great group of production oriented farms that are working together with a goal to improve the Boer goat industry. We hold multiple events in the community that include an annual sale of quality breeding stock and an ABGA and Jackpot show in the summer. We would like to share with you this letter about our new membership policy. Please click button below.